For a person who is overweight, losing that weight is one of the most important things in their life. While many know that the excess weight is not good for their health, they are also motivated to lose it because they are unhappy with the way it makes them look and feel. 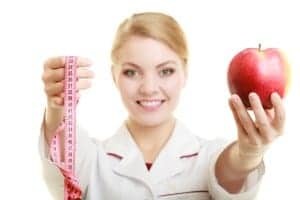 It often takes a number of failures when following the latest diets and/or exercise routines for them to realize that they can benefit from the services of our weight loss doctors. Dr. Urshan combines the latest in proven medical breakthroughs and a personable staff to provide you with the type of treatment plan that best meets your own unique needs. Relying on a battery of cutting-edge tests that provide illuminating information about the way your body functions and what it is lacking, Dr. Urshan and his weight loss doctors can help you realize your weight loss dreams without using hormones, pills or expensive pre-packaged foods. We’ll customize our diet programs to meet your needs. See why so many people in South Tampa, Carrollwood, Temple Terrace and nearby areas choose Dr. Urshan’s weight loss doctors. Contact us today at our modern Tampa office today for a free consultation.